The owner of the beautiful floral plates is Lucinda Chambers, who works for Vogue. 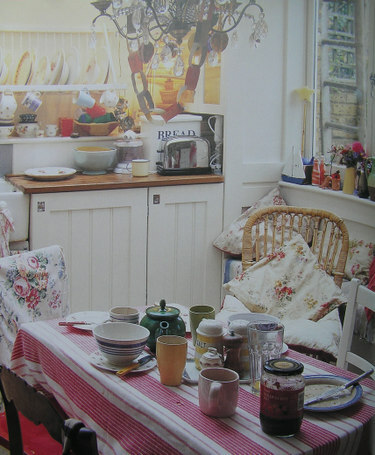 Her kitchen is featured in this book and it is lovely. 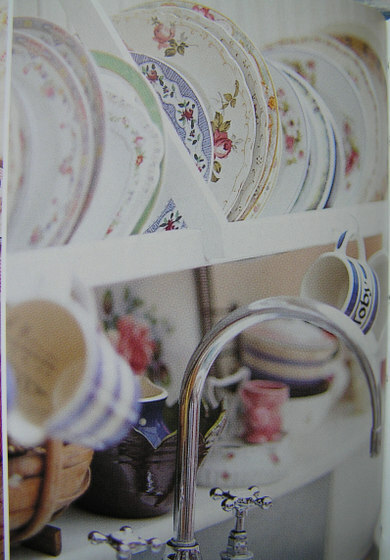 There are 2 different styles on either side of the kitchen but it is the butler sink and the plate rack that does it for me. What also fascinates me is that it looks so unstyled, effortless and casual. There seems to be no thought in where things are placed and this really challenges me as I have very set ideas where I think things should go. Does my house look too contrived? Too rigid? And guess what? 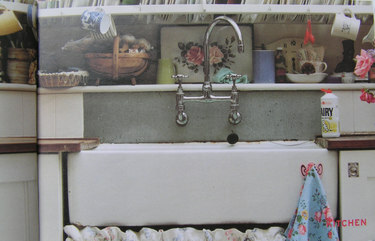 I recognised Lucinda's sink in the 2001 Cath Kidston catalogue after I bought the book. I never tire of studying it and comparing all the different pictures I have of it. Does anyone else do that? 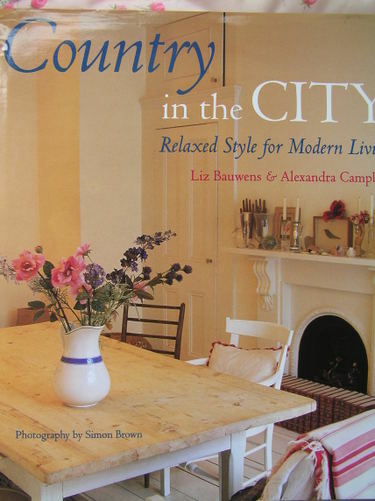 I can spend a crazy amount of time pouring over pictures of people's houses. Anth always says he is can't believe my powers of observation and that it can't be the same sink and who would even notice! It is, believe me, I notice. 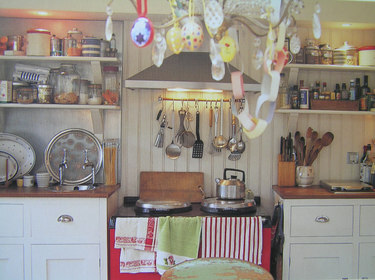 So I am now always hopeful that I might open a book or magazine and see a little more of this wonderful kitchen and find out more about the lady who puts it all together so effortlessly..